Unleash Your Inner Beautiful Badass! Use health and fitness not only to build a better body – but a better life. Not getting the results you want, or not sure where to start? Frustrated from trying diet after diet and never reaching (or maintaining) the results you want? Want to stop spending so much time and mental energy thinking about food? Want to actually enjoy the way you eat and work out? Health and fitness should be empowering. It should build you up, make you feel amazing, and definitely make you a better version of yourself while improving your quality of life. THAT is what it means to be a Beautiful Badass. If you’re constantly thinking about food, your workouts are fueled with thoughts of “fixing your flaws” or working off your last meal, you value yourself by the number on the scale, or you’re just not feeling empowered from your current regimen, then let’s talk and get you on the fast track to success today, the Beautiful Badass way. Stop revolving your life around a rigid diet, stop basing your self-worth by the number on the scale, stop feeling guilty for eating your favorite foods. It’s time to start loving your body (today and not once you reach your goals) by adopting simple health and fitness habits that reduce stress, improve your self-confidence, and make the rest of your life better. Health and fitness should ultimately be about building a body that serves you and improves your life. You should not spend unnecessary time thinking about food or working out. It should be something you do, but doesn’t define your life. If you want a personalized plan of action that improves your self-confidence, simplifies health and fitness, and helps you love your body now (not once you reach your goals), then a Beautiful Badass coaching session is what you’re looking for. I just wanted to thank YOU for all that you do! I read everything you write and own all of your training programs and realized that I have never properly thanked you! I absolutely love your no nonsense simple approach to fitness and nutrition and I’m not exaggerating when I say it has changed my life … . I have been doing your training programs for the last 1.5 + years and have seen more progress in that time than any other. I cannot recall a time when have ever been as excited about training as I am right now. I just did my program today and yet I am so anxious to go back and work again! I can’t wait to get in there and push harder and see what more I can do again and again- THANK YOU SO MUCH, NIA! Your encouragement, positivity and awesome programs have made HUGE impact on my whole life – I cannot thank you enough! I can testify that all your methods and information work. I had no idea what I was doing when I started strength training this past October. I’m 48 yrs old and had never lifted a weight so I needed help. I searched for information and found your website. I have used your guidance and I have lost 5 inches from my waist and slimmed down and muscled up every other body part too. lol. No dieting!! Just keeping it sane & simple. Thanks Nia for your inspiration and information. Hi! I’m Nia. I’ll be your Beautiful Badass coach! I’ve been a personal trainer for over 10 years, and in that time I’ve mostly worked with women who have traveled a similar path as me. They begin their health and fitness journey with the intention of improving their health and building a better looking body. But along the way, things get off track. They start obsessing over food. They start avoiding entire foods or food groups out of fear of “getting fat”. They scrutinize everything they eat as either “good” or “bad”. Their mood for the entire day can be affected by the number on the scale. And some even use workouts as punishment for over indulging. My goal is to give you a plan of action for how you can love your body – now, TODAY – and not once you reach your goals. To make health and fitness as simple, and sane, as possible so it’s something you enjoy. I also want to give you a plan of action for building your self-confidence, because being a Beautiful Badass starts from the inside out. Choose the Coaching Package That’s Right for YOU! Depending on what you want and need, you have three options to choose from. This is the budget option and is used mostly by those who are currently following a strength training program and want to personalize the routine or ask questions about tailoring the routine to fit their lifestyle. Most people choose this option if they’re using one of the workout programs/guides from the Lift Like a Girl store and want extra accountability and their personal questions answered. Please note this does NOT include something as extensive as me designed a workout program for you. That is why I recommend this option if you already have a workout program you’re using and want to tailor it to your lifestyle, goals, etc. If you want to cover in detail a workout program please consider Package 2 and 3 below. Click that button to issue the payment quickly and safely through PayPal. After your payment is received I’ll contact you within 48 hours (usually much sooner) to initiate the 4 weeks of unlimited personal support. This is the most popular Beautiful Badass Coaching Package and includes a consultation and a recording of the call plus four weeks of unlimited personal support via email. For most people this is the best option because we will chat for up to an hour addressing all of your questions and come up with a proven plan so you can achieve your health and fitness goals. You’ll receive a recording of the conversation – I record the calls because during the consultation I don’t want you wasting time taking notes or worrying about forgetting something we cover. After the consultation you’ll also get four weeks of unlimited personal email support. Have a follow-up question? Need accountability? Want to customize things as needed? I’ll just be an email away. Click that button to issue the payment quickly and safely through PayPal. After your payment is received I’ll contact you within 48 hours (usually much sooner) to schedule the consultation which usually takes place within the first week of payment. With this package you’ll receive 2 consultations and recordings plus 12 weeks of personal support. This is the best option for those who have long-term goals and need the extra support and accountability. With this package you get four additional free weeks of unlimited personal support (for a total of 12 weeks). Click that button to issue the payment quickly and safely through PayPal. After your payment is received I’ll contact you within 48 hours (usually much sooner) to schedule the first consultation which usually takes place within the first week of payment. What’s Covered During a Beautiful Badass Consultation? (This applies to Package #2 and #3 above). Whether you need to discuss nutrition, how to organize a strength training program, how to stop obsessing over food, or whatever your biggest problems are when it comes to getting the results you want and loving your body, we can discuss it. Another popular topic covered in many consultations is how to use health and fitness to make the rest of your life more awesome because, let’s face it, health and fitness is a small part of our lives, but it can be a powerful tool to make the rest of it better. Or maybe you just can’t seem to stick to a routine for more than a week and don’t know why and are finally ready to get something “to stick” long-term. This is all about helping you become the best version of yourself, in whatever ways necessary. This is all about helping you becoming the best version of yourself and unleashing the Beautiful Badass within. Let’s boost your self-confidence and build you a simple, empowering, sustainable health and fitness regimen that will make your life less stressful and more awesome. Question: For Packages 2 and 3 above, how long are the consultations? Each consultation is scheduled for 1 hour and 15 minutes, but I’ll devote as much time as necessary to make sure you achieve your goals. Question: Do you offer a different payment option or is it mandatory to pay all at once? Yes, I’m more than happy to split the payment for Packages 2 and 3 in half for two separate payments if that works best for you. Contact me here and we’ll set this up. Question: Can’t I just read a book or use a guide? 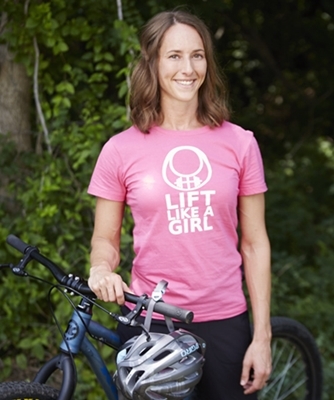 There are several books and done-for-you guides available on Lift Like a Girl, and for many people that’s all they need. But many need more personalized, one-on-one information to get them on the fast track to success. That’s the beauty of a coaching session. We uncover exactly what will work for you. Question: Is it really worth it? Can you really help me? Absolutely! I’ve been a personal trainer and coach for over 10 years, and I bring my experience and passion to every consultation. If you want to ditch obsessive eating habits, discover the simple ways to love your body now (not just once you reach your goals), boost your self-confidence, and overall develop an enjoyable, empowering health and fitness regimen, we can do it together. Plus, a consultation is so much more personal because everything we talk about will be specific to your preferences and current situation. Question:Which package is best for me? That depends on your goals and budget. For most people I recommend the second package: consultation + recording + 4 weeks of unlimited personal support via email. Question: Is the consultation recorded? Yep! This way we can spend every second chatting and coming up with solutions to your biggest problems. You don’t have to waste any time jotting down notes or worry about forgetting anything! Question: How and when do the consultations take place? Preferably via telephone, but Skype can be used per your request. We’ll schedule the consultation at a time that’s convenient for both of us. Generally coaching sessions take place Monday-Friday (with occasional exceptions if absolutely necessary on Saturday) preferably between 8am – 4pm CST (Central time USA). Question: What if I need/want more than one consultation? Then definitely select package number three. It includes two consultations, recordings, and 12 weeks of unlimited personal support. Question: What if I have a question that’s not answered here? No problem! Contact me here and ask any additional questions you have! Want MORE Reviews and Feedback? I just cannot tell you how much happier I am now when the measure of my success is in a POSITIVE direction (i.e. how much weight I can lift this week) instead of a negative (i.e. weight on the scale). That coupled with the fact that I don’t stress food anymore, only train 3x /week and have plenty of time for family and enjoying other activities- I feel SO BLESSED to have found your website and programs!! I absolutely love the positivity approach to LIFE that you bring. Because you bring perspectives that are not just about fitness or strength training but the total body. It is a mindset that you do very well at encouraging for others. I appreciate all your hard work to help others love themselves. You are a warrior for self acceptance self love and self appreciation that this world needs more of. This is just a short email to say how much I am thankful for your web site and all the articles you have written. I had been overly obsessed with the scale and fat loss. It was starve binge cycle just before I saw your web site and read your books. It has been about 2 months now. I can say that I am free . I eat healthy and well , I haven’t binge even once! There is no need as I am not hungry all the time! And I don’t think how to lose weight 24 hours a day! Thank you , thank you and thank you. I just wanted to say a huge THANK YOU to Nia. I can’t even put into words how grateful I am to her. The entire Lift Like A Girl program & info has saved me. I’m 23 and remember dieting since 8 years old and have struggled with eating disorders for years. Id love to go on and on about just how much she has helped me but have been told to keep this brief haha. I just wanted her to know she has changed my life and I have never been happier, healthier and more comfortable in my own skin. Just thank you. I really hope you get your message out more to people. You have given me a whole different perspective on fitness for women. I am 55 and started doing strength training in my house and I like it (never liked exercising before). Your views about women and fitness are an inspiration to me. I never realized how sexist the fitness world is and it must be why I always felt strange in gyms or meeting with trainers. It can be meeting a used car salesmen who wants you to pay them to run on a treadmill. Maybe people know you in the fitness world, but I feel like I found you among a forest of fitness noise. I’m glad I found out about you through the half size me community. Keep up the good work. I can honestly say your voice has had a major impact on my health and life. I just wanted to say thank you so much for your blog. It has become my cure for depression and self-doubt, and reading it frequently feels very much like a smack to the back of the head reminding me that my actual goal is to become the very best me I can be today. I don’t know if I’m able to actually get a reply through, but I just wanted to let you know that you are basically the only fitness page I seriously follow anymore. I am so happy to have finally found a page that is straightforward and no nonsense. There’s no smoke & mirrors involved, it’s just simple, sound advice that makes sense and clearly produces results. Thank you for what you do and keep it up! Just wanted to say I love your website! I never bother contacting authors of websites normally, but I just wanted to let you know that this website is where I go whenever I feel like I’m at the bottom of a mountain looking up! On days when I’ve got off track with my eating or exercise, or just not feeling quite good enough. Keep up the good work, because it’s the perfect balance of motivation and real advice.